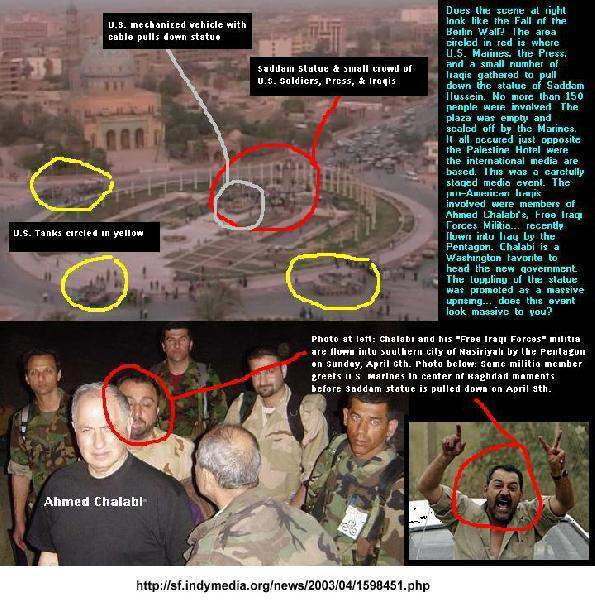 This article provides absolute proof that the U.S. Military and the U.S. media conspired to fake an event in Iraq and broadcast it around the world. 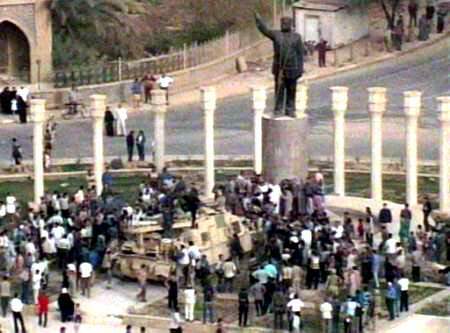 There were NO large crowds of Iraqis around when U.S. marines pulled down the statue of Saddam Hussein. discuss the faking of the statue pulldown. Click the links to read the entire article. 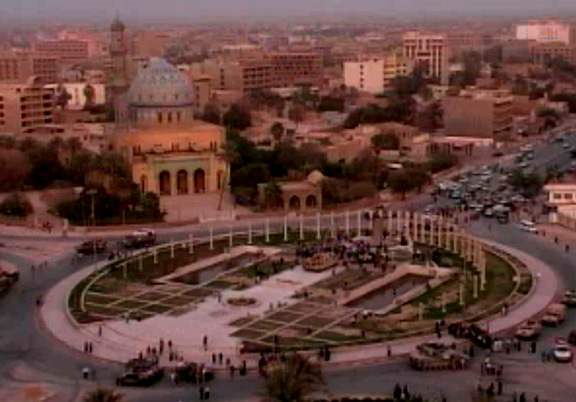 when they enter, but also 3,000 Iraqis who very well might become "embedded dancers"
this happen, we only hope that there will be a few journalist who will document the truth. The feeling here is anything but joyous and jubilant." off to ABC for their mea culpa- their CIA plants must have left early for the weekend. made to get it right. hot-line to the field commander telling him to get rid of it. 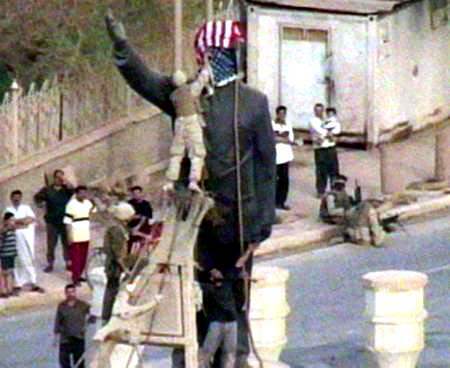 Iraqi flag - only toppling Saddam. country by US and British troops. and international media April 9-10, was a stage-managed affair. US Abrams tanks, cutting it off from the rest of the city. . .
''example of the tremendously subjective character of the media coverage in this war. . . .
What was notable was how few Iraqis were there. It was almost like a lethargic pep rally.